In the world of fashion, the term “icon” is bandied about almost as frequently as the words “brilliant” and “fabulous.” And, granted, innumerable women like Lady Gaga, Madonna, Cher, Sharon Stone, Sophia Loren and Charlotte Rampling (to whom Tom Ford has frequently paid devoted homage) have consistently made significant fashion statements over the years…but are they truly icons? Well-dressed, yes. Fashion-forward, no doubt. But have any crafted a signature style, one all their own, one that will still look both “modern” and distinctly them long after they are gone, or at least departed from the limelight? I think one is hard pressed to make the case of a singular enduring style from any of these women. Yet, there are a handful of women—all from the past century—who do rank as true fashion icons: women of such unmatched personal style that, even now, often a decade or more after their passing, their collective influence on high fashion and everyday dress remains firmly intact. So what was (is) their secret? Jacqueline Kennedy Onassis almost seems to have been born an icon. 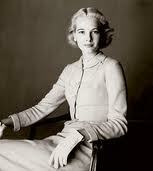 Her regal upbringing, her flawless posture acquired via youthful horseback riding, gave her a model’s stature and grace. Additionally, Mrs. Onassis just seemed to wear clothes so beautifully. Jackie, like Princess Diana later, could dress down (in a trench coat and sunglasses for the late First Lady; in her son’s ball cap and jeans for the late Princess) and still look undeniably chic. Jackie’s enduring style, her ability to “slum” it if you will, came from the long, solid, fashionable foundation she had already so firmly cultivated mainly during years in the White House. Of course, Mrs. Kennedy did not achieve this stature alone. She had ample help from legendary fashion editor Diana Vreeland, to whom the then Senator’s wife turned to for advice early in her public life. 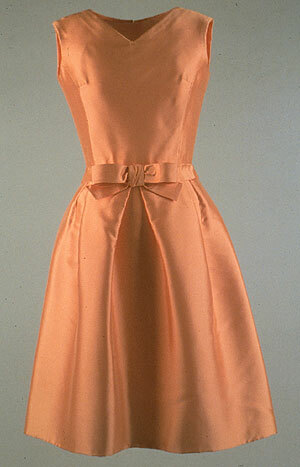 And, most importantly, from the rarefied vision of the too-often undervalued designer Oleg Cassini. Despite his occasional copying of specific looks from the French couture–always done at the insistence of Mrs. Kennedy–Cassini nevertheless crafted for the First Lady a brilliant and everlasting look. Favoring straight lines, simple silhouettes, solid colors (usually pastels) and a near constant avoidance of prints rendered Jackie’s White House wardrobe a remarkable timelessness. Similarly, the 20th century’s other great style ideal, Audrey Hepburn, too, arrived on the scene bearing a dancer’s grace and a super-slim figure, perfect for the couture. 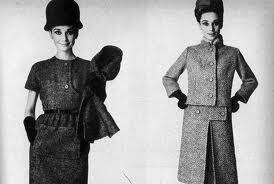 And couture is what she gave us for decades thanks mainly to the refined work of the great Hubert de Givenchy. 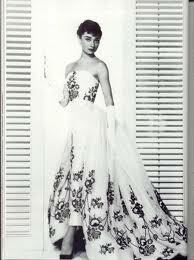 With Hepburn as both muse and client, Givenchy fabricated an elegant and rarefied persona for her. Their ascent was mutual and simultaneous. After working for Schiaparelli from 1947 to 1951, Givenchy founded his own house in 1952; Hepburn made her major film debut, in “Roman Holiday,” in 1953. She would first be dressed by Givenchy, on film, the following year in “Sabrina.” The rest, as they say, is film (and fashion) history. For the remainder of her life and career, on screen and off, Hepburn would seldom wear anyone else. With time, the two became fully intertwined; his style was hers and hers was his. Like Jackie before her, Hepburn had found the perfect formula to achieve full fashion icon status: find a designer and stick with them; find an over-arching style and stick with it; eschew fads and short-lived trends; and ward off any sense of dated-ness by evolving with your chosen designer. The flitting from one style to another (i.e. Madonna, Lady Gaga), as these two ladies seemed to know, might get you attention but it does not create a style legacy. Other women, other icons, have recognized this and employed this same recipe. The amazing C.Z. Guest created and maintained a long, fruitful relationship with Mainbocher. She admired his subtle style and perfect cuts. And he seemed to see in her—like Givenchy had with Audrey Hepburn—the perfect envoy for his designs. Isabella Blow, too, found a symbiotic relationship with a designer, the mad hatter Philip Treacy. Though her looks were completely avant-garde (and an acquired taste), there’s little doubt that they were uniquely her. All this is not to say that an icon cannot embrace a bit of designer diversity. 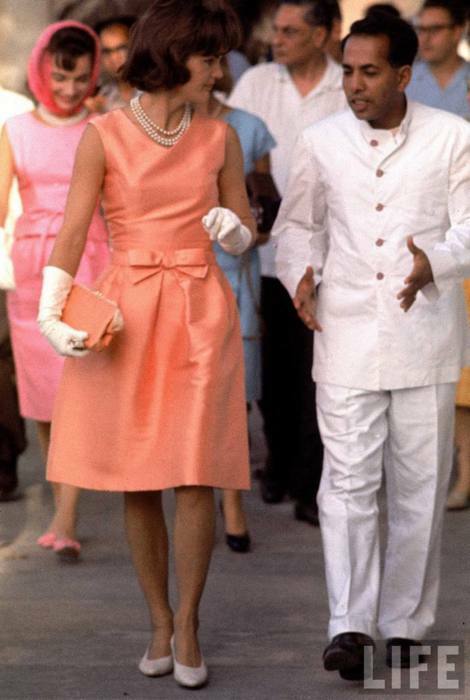 Even during her White House years, Jackie showed a willingness to discretely work Chanel and Givenchy into her wardrobe. She was wearing a Chanel suit that day in Dallas. After leaving public life, Mrs. Kennedy (later Mrs. Onassis) diversified even more. Now able to more freely wear non-American designers, Mrs. O. became a regular patron of Valentino and Madame Gres. Once, she even put on a typical, mod and multi-colored Pucci mini-dress. Regardless of these diversions, her core minimalist style largely remained and, besides, by this time, it did not matter; she was already above reproach. Along with their loyalty to particular designers, these ladies also knew that the best way to ensure their ongoing style viability was to completely commit to simplicity. If Chanel once said, “Get fully dressed and then remove one item” (or something to that effect) then these women practiced that philosophy in the extreme. 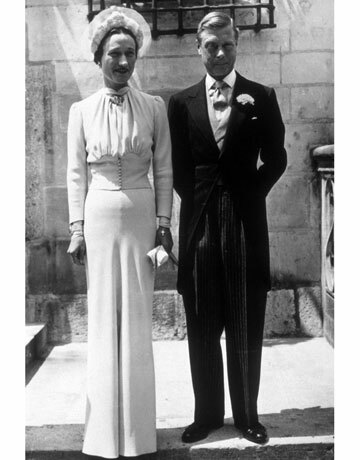 The equally iconic Duchess of Windsor once said, “Clothes should be so simple and unobtrusive as to seem unimportant.” It was a philosophy that the one-time Wallis Simpson followed devotedly. Her world-famous 1937 wedding gown–slim, unadorned and originally dyed “Windsor blue”—was designed by Mainbocher. And though she regularly wore a variety of couturiers (Balenciaga, Dior, Givenchy), she, too, seemed to favor a highly pared-away style, only offset by carefully chosen pieces from her incredible jewelry collection. The Duke and Duchess of Windsor ,1937. Wedding dress by Mainbocher now held in the Metropolitan Museum of Art. Interestingly, at the time of her premature death in 1997, Diana, the Princess of Wales, was also moving towards a new more streamlined image. After beginning her public life at the tender age of 19 and quickly being used as passive, put-upon dress-up doll by a host of British designers, Diana would in time—especially post children and divorce—firmly take her own image in hand. She too eliminated the frills and cheap thrills of ruffled, busy clothes in favor looks more sedated, even somber, but still undeniably elegant. Her fashion progression became especially visible in the photo retrospectives published after her passing and via the two auctions of her gowns that have been held, the first in 1997, the second, posthumously, in 2011. Diana’s increasing reliance on a smaller group of designers near the end of her life (notably the late Catherine Walker) seemed to suggest that she too had found the tried-and-true equation to transform herself from merely “well-dressed” into international style icon. Of late, Michelle Obama seems to be working towards icon status as well. Though except for her early reliance on twin sets (which echo C.Z. Guest), the current First Lady has yet to establish a defining style for herself. 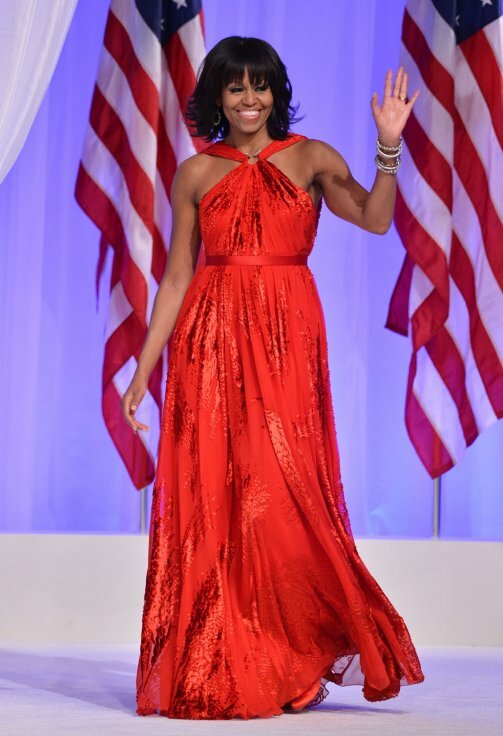 But with a few more years (if not many) still on the world stage and her willingness to work with a good, small team of notable designers (like Jason Wu), Mrs. Obama stands a chance of emerging as our latest, newest style goddess. The First Lady has the tools—and the figure—now it just remains to be seen if she has the inclination. This entry was posted in Uncategorized and tagged Audrey Hepburn, C.Z. Guest, Cary O'dell, Diana Princess of Wales, Duke and Duchess of Windsor, Givenchy, Jacqueline Kennedy Onassis, Mainbocher, Michelle Obama, Wallis Simpson. Bookmark the permalink.